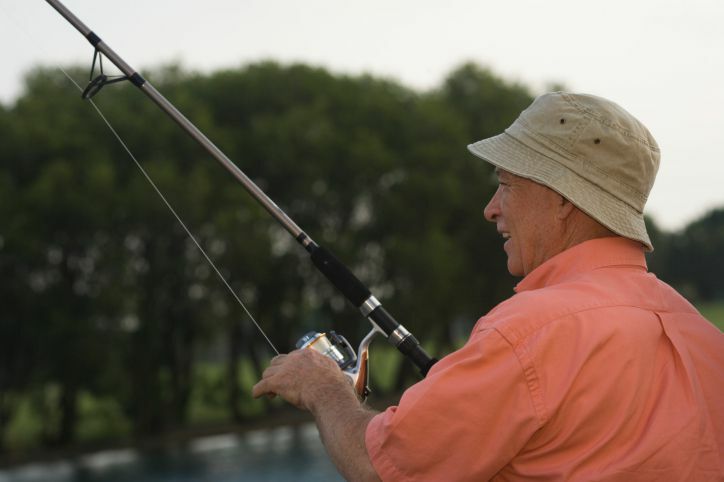 Is Retirement Good For You? Retirement sounds great: no boss, do what you want, travel, etc., but does retirement hurt your health and life expectancy? That is a good question, and the answer depends (I think) on just what you mean by retirement. Early Retirement = Earlier Death? The study examined the survival of 839 employees who retired at 55 and 1929 employees who retired at 60 and compared them to 900 employees who retired at 65. Women made up only 11% of the study population. The link between early retirement and early death was greater for men. In fact, men who retired at 55 had an 80% greater increase risk than women who retired at 55. People who retired at 60 were no different than people who retired at age 65, in terms of overall risk of death. It could be that people who retire at 55 have poor health (and therefore chose early retirement). People who retired at age 60 had the same physical and mental health function as people similar to them who were still working. In fact, the retirees’ mental health improved somewhat after retiring. So according to this study, retiring at age 60 is either not harmful or even good for you. It’s not all good news, though, for retirement. In one of the most well-done (statistically speaking) studies of retirement and health, researchers found that retiring had a negative impact on health. This study looked at 16,827 men in Greece who had not been diagnosed with a health condition, such as diabetes, stroke, cancer or heart disease. It compared men who retired to men who were still working (remember, none of them had a major health condition at the beginning of the study). It found that the retirees had a 51% increase in their risk of death (after controlling for things, such as wealth, education, marital status, etc.). Most of the increase in death risk was linked to heart disease and cardiovascular health. Should I Cancel My Retirement? What about just not retiring ever? There are regions where people are healthy and active well into old age. In these places, it is not uncommon for a 90-year-old to be walking several miles a day, helping with the garden and taking care of great-grandchildren. People seem to age well in places, such as Okinawa, the Hunza Valley, and the Vilcabamba. In these regions, the idea of retirement just doesn’t exist. People stay active into their very old age. Basically, they go, go, go and then pass away. They don’t experience long periods of chronic illness or disability. Many researchers believe that the lack of retirement in these areas (along with diet) are the main reasons people age so well there. Make your retirement more like their lives, and you just may avoid some of the age-related health problems so common in older adults. Fruits and Vegetables: You need to eat between 5 and 9 servings of fruit and vegetables every day. This is your number one nutritional mission. You can do this simply by adding 2 servings to your day every week. By the end of the month, you’ll be there. Exercise: You need to exercise every day. What you choose for your exercise will depend on your health and your interests. Be sure to do a variety of exercises to build strength, flexibility, cardiovascular health and balance. Brain Health: Your brain needs some exercise too. Find ways to stimulate your brain into learning new things and keep the cobwebs from growing up there. Relaxation: Don’t forget to relax. Some of the most stressed out people I know are retired. They just transfer their workday stress on to their retired lives. Find a structured way to relax every day. Try a meditation program to help you relax and give your brain a workout at the same time. Sleep: All adults need to sleep between 7 and 9 hours every night. As you age, this gets difficult, especially if you are taking medications or have a health condition. Train your body to have excellent sleeping skills, and avoid the bad habits of some retired people (i.e., taking long naps). Relationships: Your relationships with people can help you live longer. Be sure to nurture your friendships and family relationships. If you are away from friends and family, think about volunteering -- it's a great way to meet people and get the health benefits of relationships too. Christina Bamia, Antonia Trichopoulou, and Dimitrios Trichopoulos. Age at Retirement and Mortality in a General Population Sample - The Greek EPIC Study. American Journal of Epidemiology 2008 167(5):561-569. Tsai et al, "Age at retirement and long term survival of an industrial population: prospective cohort study," BMJ, published online Oct. 20, 2005. G Mein, P Martikainen, H Hemingway, S Stansfeld, M Marmot. Is retirement good or bad for mental and physical health functioning? Whitehall II longitudinal study of civil servants. BMJ. 2003;57:46-49.